The state program which is designed for increasing interest of consumers in new cars became an initiative for serial release of Hyundai i10. This 5-door model represents excellent inexpensive city option. However here you will hardly find something new. Everything is quite standard. 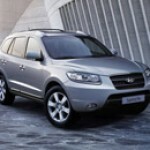 Besides the price of the new car practically does not differ from the predecessor. 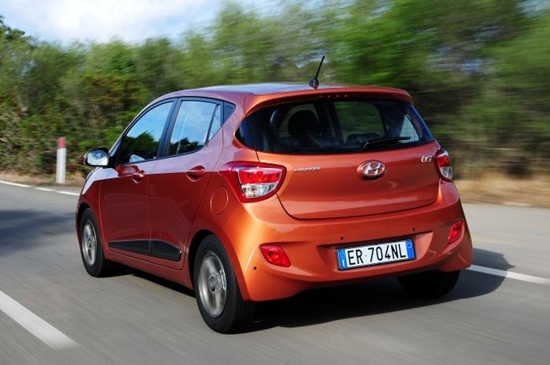 And, nevertheless, Hyundai i10 can quite become the worthy competitor of Skoda Citigo. However regardless of the marketing purposes of the Korean company, technical characteristics of the car improved a little. At once it is visible that producers tried to do everything possible to improve behavior of the car on the road. We tested the sample equipped with the 1-liter three-cylinder petrol motor. In fact, this engine – the exact copy of that costs under Kia Picanto cowl. But at the expense of a special sound-proof slip and double consolidation of each door, the motor works much more silently. The car very smoothly gains steam. And even that noise which is heard by the driver at the maximum turns, is quite pleasant. The declared 100 km/h in 14,9 seconds not absolutely are true. But it is necessary to understand that at this car absolutely other tasks. Therefore if you should overcome slopes or to go level with other city movement, you will not have any problems. 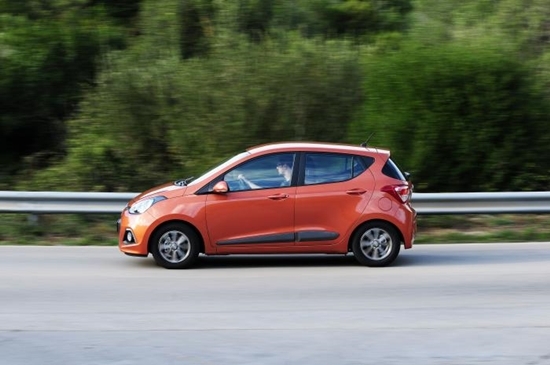 Control of Hyundai i10 is exercised on means a 5-staged transmission which allows to squeeze out a maximum of this model which does not differ in special power. Therefore it is very important not to be overzealous. Otherwise you will find the 40-liter tank absolutely empty quickly enough. The steering will seem very easy and pleasant. It allows to hold surely the car on the road. It should be noted good brakes also. Perhaps, very few people expected something special from appearance of new model. And, nevertheless, here is on what to look. It is completed with 14-inch disks and 65-profile rubber. 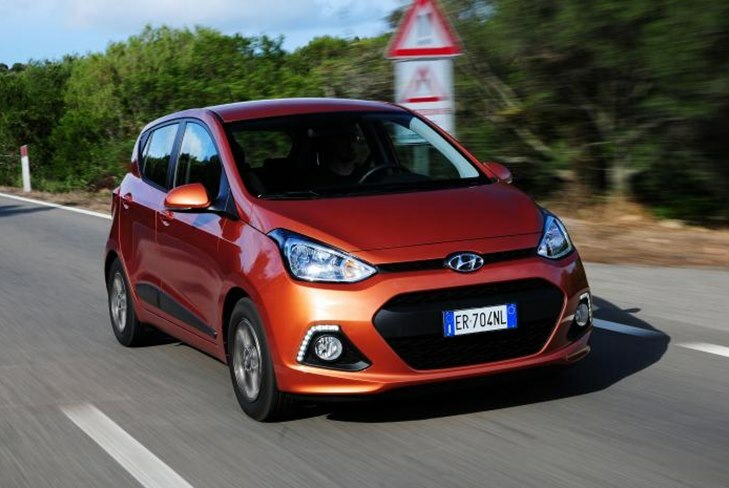 At this Hyundai i10 perfectly copes with roughnesses, cracks and holes on roads. In a type of that the car is intended more for movement on the city, producers supplied new model with a wide windshield. Thus and the car steel is slightly wider. Best of all the car looks in front. Fog lights give to model quite interesting appearance, and the graceful form of forward dimensions gives to the general appearance a special highlight. In it there is something from Clio's Renault. 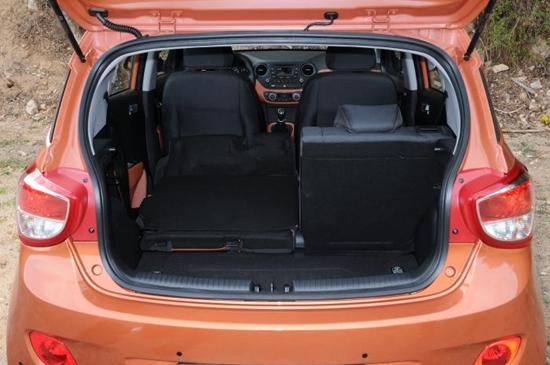 And this time Hyundai i10 pleases us with very spacious salon in which with convenience 4 adults will accommodate. All four doors very widely and conveniently open. Inside the new model is equipped with a capacious glove compartment in which with ease to be located the mobile phone, the navigator and many other things. Pleasantly pleased the materials used for finishing of salon. In total at very high level. All buttons and panels are executed from qualitative and expensively to plastic which is very pleasant to the touch. The central panel is made of more rigid material as much as possible to reduce possibility of its wear. The model is also added automatic climate with control, cruise by control and even heating of a wheel. The luggage carrier also pleases with the spaciousness. 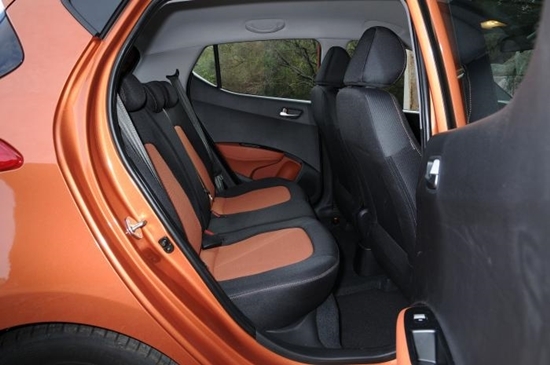 In it the place, than, for example, in Citigo is much more. Its volume makes 252 liters, and in need of it it is possible to increase to 1 064 liters, having cleaned back sitting. In the conclusion there is a wish to tell that today Hyundai i10 can by the right be called as the best car in the class. 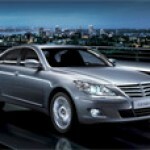 It is perfectly equipped and has all necessary for a comfortable driving on the city. 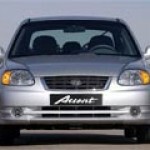 This model will become an ideal choice for buyers and the worthy opponent to all the rivals.